Is This the End of Sidekick? 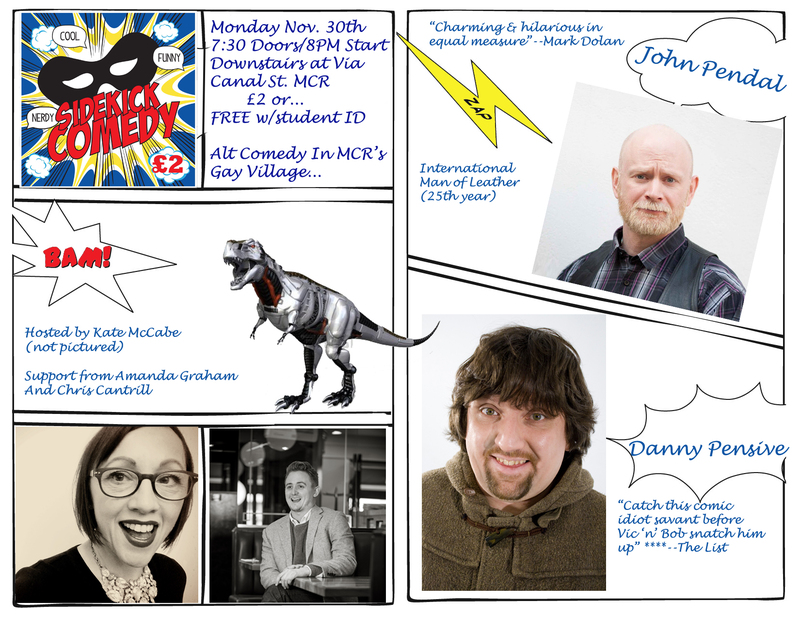 November 30th, brings another dynamite showcase of talent at Sidekick Comedy. We’re bringing you the best alternative and up-and-coming acts from all over the comedy circuit. Feast your eyes on this month’s bounty. Catch us, as usual, downstairs at Via in the Polari Lounge. 7:30 doors 8:00 start time. This entry was tagged Amanda Graham, Chris Cantrill, Danny Pensive, John Pendal, Kate McCabe. Bookmark the permalink.